Each year nearly five thousand construction workers lose their lives due to a construction site job injury according to the Occupational Safety and Health Administration (OSHA). OSHA has strict safety rules designed to protect workers. Falls remain the number one cause of death at construction sites. Under OSHA rules, workers must be provided with safety equipment and protection including life lines, harnesses, guardrail protection, safety nets, and other safety devices. A busy New York construction site is a dangerous environment where owners and general contractors must keep constant watch to ensure safety is the top priority. Construction work itself adds to the danger with workers needing to perform framing, welding, plastering or other work while perched high up on temporary or makeshift work surfaces. Unfortunately in reality, 24 hour diligent attention to safety is rarely the case. Typea of necessary safety devices and tools to protect workers include life lines, harnesses, ladders, slings, hoists, hardhats, and a multitude of other safety devices. However, just because these safety devices exist does not mean they are used or even available at a construction site. Often times a construction company will spend millions on materials and labor to complete the job but only a few thousand or even few hundred dollars on safety. In construction, profits and speed often overshadow safety. Why consult a construction accident lawyer? If you or your loved one have been injured on a construction site, it’s important to contact an attorney to help you with the injury claim. There are several state and federal laws concerning construction sites and personal injuries. Having an experienced construction accident lawyer by your side will help you understand how to file a civil suit. 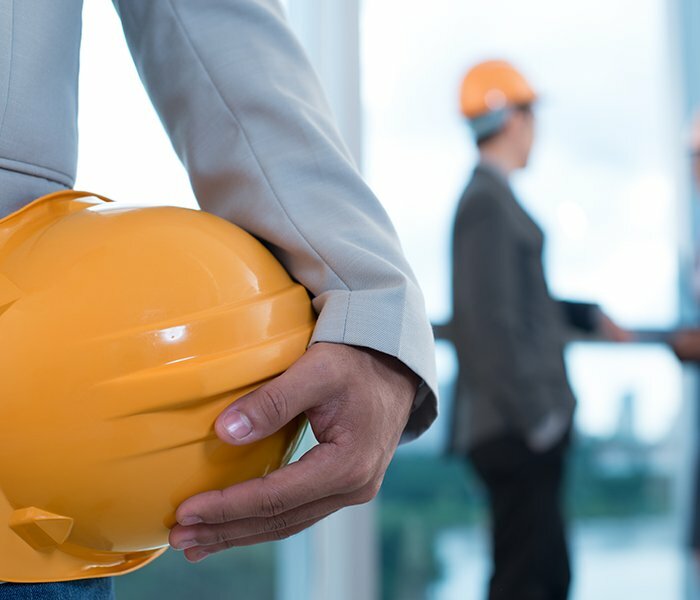 There can be several parties involved who are liable for your injury, including the owners of construction sites, the contractors, and the manufacturers of the faulty equipment or any third party. A thorough investigation of the construction site, medical records, witness statements and other parties related to the accident to determine who is liable for your injuries. An expert and skilled construction accident attorney can help you carryout detailed investigation of your case and also help you determine the type of claim you should pursue. The attorneys at 866 Atty Law have helped countless clients in winning the deserving compensations in a variety of different situations. Careless actions or negligence at worksites can lead to extremely dangerous accidents. Our attorneys understand there can be different ways that can lead to serious construction accidents and it’s important you know your legal rights in case of any accident. Below are some of the construction accident case types in which you are liable to receive compensation. Crane collapse accidents – Cranes are frequently used on construction sites to lift heavy material. When cranes and other heavy machinery on construction sites are not operated properly, serious accidents can happen. At Frekhtman & Associates, we work closely with the clients involved in crane collapse accidents to deeply understand how the injury has affected them and their family in order to recover maximum compensation. Scaffolding issues – Scaffolding should be properly constructed and maintained to ensure it is safe to use. If the regulations are not followed it can lead to devastating accidents that may cause permanent injury and death in some cases. At Frekhtman & Associates, our lawyers assist clients who have been injured in scaffolding accidents. Elevator accidents – Elevator accidents can lead to disastrous consequences. Our lawyers have successfully represented people injured in elevator accidents and other construction accidents. The different types of elevator accidents that we have successfully handled include fires, being stuck in the lift for a long time, sudden stops or drops of the lift, misleveling, fires and more. Machinery malfunction – Accidents at construction sites involving heavy machinery can result in fatal injuries. When machinery doesn’t have the proper safety measures, it can place the lives of workers at risk. At Frekhtman & Associates, we understand that victims of machinery malfunction are unable to work for several weeks and months, following the accident, and at times cannot even return to work because of their disability. We help these victims recover maximum compensation. We work on a contingency basis and charge no fee until the full damages are recovered. Electrocution – Any person who works around sources of electricity is at a risk of electrocution, electricity shock and electrical burns. When proper safety measures are not undertaken and OSHA regulations are not followed, it can lead to serious accidents. The attorneys at Frekhtman & Associates are experienced in recovering compensation for clients injured in construction accidents involving electrical fires. If you have been injured on a construction job site due to a safety violation, contact the experienced New York construction trial lawyers at Frekhtman & Associates at (866) ATTY LAW.